The texts, drawings, photographs, films, pictures, data, e-shop productdatabase, software, denomination, trade- and field names, marks, logos and other components of this site are protected by intellectual property rights and belong to Apotheek Denys NV in Ghent or third parties. It is prohibited without written agreement of Apotheek Denys NV, Ghent, to save the information on this website and the information offered via this website. It is also prohibited to reproduce, to change, to publish, to distribute or to sent , to sale or to transfer in one way or the other or to provide rights to third parties. Not use the website for postings and transmission of material with promotional purposes without asking a written approval on beforehand to Apotheek Denys NV in Ghent, unless when asked expressly by the recipient. Apotheek Denys NV in Ghent collects no personal data unless these are supplied on voluntary basis. With filling in and sending an order, or by sending an e-mail, a visitor gives Apotheek Denys NV, Ghent, the authority to save all personal data in a customer database, with a view of automated userprofile, customer management or direct mail. The personal data can be transmitted to companies contractually bound to Apotheek Denys Pharmacy NV, Ghent. are entitled to examine and give corrections with regards to your personal data. You have the right to oppose against processing your personal data the purpose of direct marketing. Similarly, any person may submit his claim to exercise its right of inspection, correction and opposition to info@apodenys.be . Apotheek Denys NV, Ghent, can collect data of not- personal information, such as browser type or IP-address, the control programme which you use or the domain name of the website along where you entered the apodenys.be website or along which you will leave the website. During a visit to the site, so called 'cookies' can be placed automatically to the hard disk of your computer. These data help us to improve the site to coordinate on the wishes and preferences of our visitors. With the most of the internet browsers it is possible to remove the cookies from your hard disk or to reject cookies or to give warnings before a cookie will be installed. Consult the instructions or help function of your internet browser for more details. The information, software, products and services (information) that on or by means of this internet site is offered, can be incomplete of all kinds of nature. The Apotheek Denys NV in Ghent is not liable for the appropriateness, the reliability, the ontime or exactitude of the information. The information is provided and is reflected without any guaranty. Apotheek Denys NV is not liable for possible viruses, if these would occur, in spite of the taken precaution measures on the site. Apotheek Denys NV preserves explicitly the right to modify the information to the site at any time. This internet site can contain hyperlinks to internet sites or to web pages of third parties and other parties. Apotheek Denys NV has no control concerning the contents or other characteristics of these websites or webpages and is under no circumstances responsible for the content of characterizes of it. Linking other websites by Apotheel Denys NV does not imply an approval by Apotheel Denys NV on the content of the website nor on the webpages. If by means of the internet site recommandations are given directly or indirectly for taking personal or business decisions, then these recommandations without form of guarantee are given and Pharmacy Segal (Medigrex NV) can not be put responsible for this. You always must consult an expert for additional information on the needed advise. 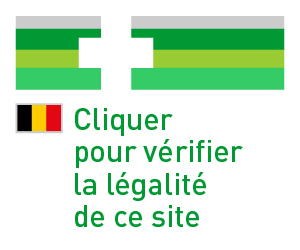 The Belgian legislation applies on the website with exception of the Belgian referring rules mentioned in the Belgian international right of privacy. In case of disputes, the courts of Ghent are competent . The information in this bulletin is exclusively intended for the adressee and can contain possible confidential and/or protected favoured data and/or intellectual property righted information. In case you are not the addressee, please remove the bulletin and inform the sender of the e-mail. You can not use this reported, modify, copy or spread, nor publish the content to a third. The security or correctness of the e-mail can not be guaranteed, since the information can be intercepted, degenerated or destroyed, arrive incompletely or can contain viruses. Apotheek Denys NV accepts absolutely no liability for loss or damage which is in any way to blame to the use of the medium. Any views or opinions expressed in this message are those of the author and do not necessarily represent those of the Apotheek Denys NV in Ghent. Therefore this email does not constitute a commitment by Apotheek Denys NV, unless it contains an express statement to the contrary from an authorized representative.